I'm not an expert on being a fabulous grandmother, far from it. I have made many mistakes but luckily I have a forgiving daughter in law. Not everyone is as lucky. Reading comments on the Gransnet forum it seems easier to be a fabulous grandmother to your daughters child. So if your first grandchild is your son's, do not despair it's not impossible, it just takes more effort. Your darling daughter or son has just announced the impending birth of their first child. You are either distraught or over the moon, either way you are going to be a Grandmother. You now have the choice to be a fabulous grandmother or a complete pain in the neck. The choice is yours. If you are over the moon then this is easy but what if you think this is a really bad idea? There's never a perfect time to have a baby and the expectant parents do not need you to tell them all the reasons why this time is wrong. They know their house is too small, that it will ruin their career or education. They do not need to be told that they are too young, old, poor or selfish. They certainly do not need to hear your tales of horror when you gave birth. Now is the time to lay the fabulous grandmother foundations, be pleased, be supportive and smile. Do not announce it to anyone, especially on social media, without their permission. Once the baby is born this includes photos. Some parents do not want any published so take as many as you want and put them in a book, plaster your walls at home not your wall on Facebook. A new baby attracts lots of visitors but some are more welcome than others. Be a welcome visitor. Ask first, don't just turn up unannounced. Do not outstay your welcome, if you live around the corner then stay just long enough to help, then go. If you live further away offer to stay somewhere else, they will probably say no but be grateful for your consideration. Read and watch and learn. Know your Upsy Daisy from your Peppa Pig. Know why there's no Room on The Broom and how The Stickman gets home. Read why babies must sleep on their backs and have rear facing car seats. It has changed so much since you were a new parent. 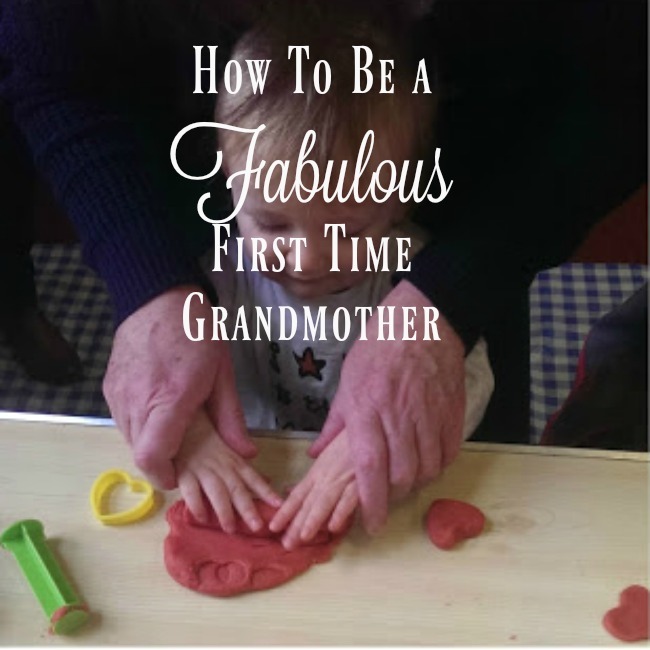 If the baby has more than one grandmother remember you are planning to be the fabulous grandmother. Be generous, be kind. Keep any criticisms to yourself. There is enough love to go around for everyone. Don't arrive at the door with armfuls of gifts. Your choice may not be what the new parents want. They may already have a houseful of stuffed toys but really need a new kettle. They may not want to dress their baby girl in frilly dresses or their baby boy in blue. So ask. Check if they have a wish list, ask what they would like you to buy. If they have everything they need then maybe you could give money for a savings account, or a few premium bonds. You are not in charge, they are. The choices they make are as hard as the choices you made. They will think really hard over each one, and just like you did, they will have sleepless nights worrying over the detail. Just accept that if they want your advice, they will ask for it. It's their baby and their choices. A new baby is physically and mentally hard work. Lack of sleep and worry can knock the confidence of even the most awesome parent, so praise them. Look for things they are doing well and tell them. A little compliment on how wonderful they are at cuddling, whilst turning a blind eye to the mess all around them will do lots to raise their spirits. Prepare your home. If you expect your grandchild to visit then start thinking now about safety. Make it easy for them to come and relax, not always worrying about everything. If you can't make everything safe then have a room that you can all relax in. 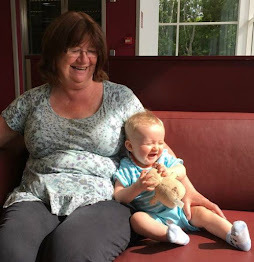 Looking after a grandchild is hard work. Don't offer to care if you cannot commit to it totally. It is time consuming and exhausting. Don't offer to babysit, and then let them down. Don't say you'll care while they work if you can't. Being a Grandmother is a wonderful thing, we can all be fabulous grandmothers, it just takes a little thought.